The first person to be appointed a chief in Niger to represent slaves and former slaves will be crowned at a historic ceremony in the north of the country on Saturday 4 December. The appointment of Malick Asma, aged 46, is anticipated to result in an increase in campaigning to free the 40,000 people still estimated to be living in slavery in Niger. 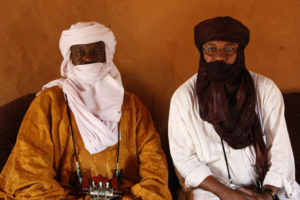 The newly appointed chief is from the ‘black Tuareg’ ethnic group (locally known as Kel Tamacheq), descended from black Africans abducted by Tuareg raiders several hundred years ago. 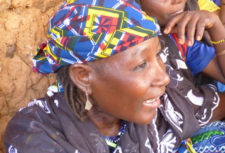 Today, they form the lowest caste in Niger society and include the 40,000 people still estimated to be in slavery and formally owned by their masters. Slavery has been illegal in Niger since 2003 and this historic appointment is only due to the creation in 2009 of three new constituencies designed to give the Kel Tamacheq community representation at the Chiefs’ Assembly, an important level of regional government in Niger. In 2008, Niger was successfully condemned by West Africa’s regional court for failing to protect one of its own citizens, Hadijatou Mani, from slavery. Malick will become an elected chief representing 30,000 people in the Kel Temet area of Tchintabaraden, a town in northern Niger. As chief Malick now has the authority to collect taxes and manage the socio-economic life of his constituency. This includes organising mass animal vaccinations, managing markets and agreeing the building of schools and wells. Chief Malick Asma (left) with Ilguilas Weila of Timidria, an anti-slavery NGO based in Niger.